“I refined these actions over forty years, chasing big fish both at home and across the globe. My Big Fish series combines the best characteristics to deliver a lure with both accuracy and distance, to work the lure with authority, to solidly drive hooks home, and to handle darn near anything that swims. In my opinion, It really doesn’t matter what species you’re after, it’s more about the lures you’re using and having a rod that’s responsive enough to make them come to life when you give them a pop or quick snap. 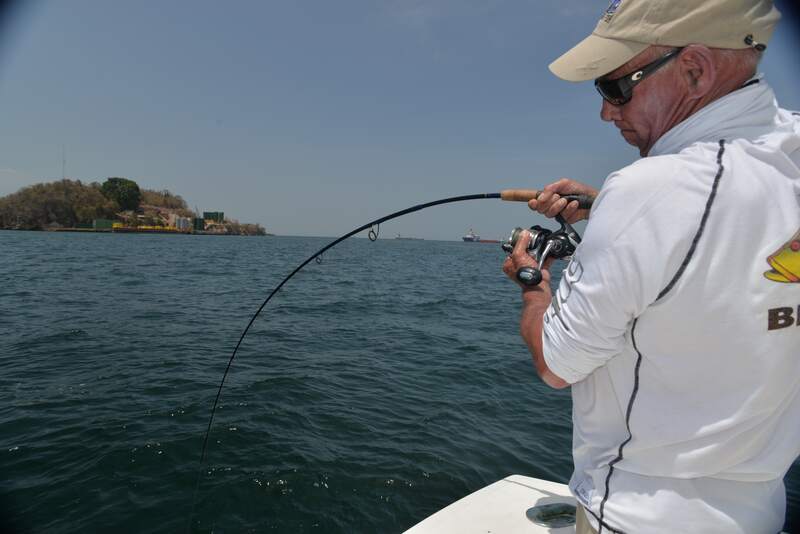 Big Fish rod powers are easy to understand; numbered from 1 to 4 and cover lures ranging from a ½ oz. to stuff so heavy I recommend you consult your physician before you tie one on, and lengths from 7 to 9 ½ feet. 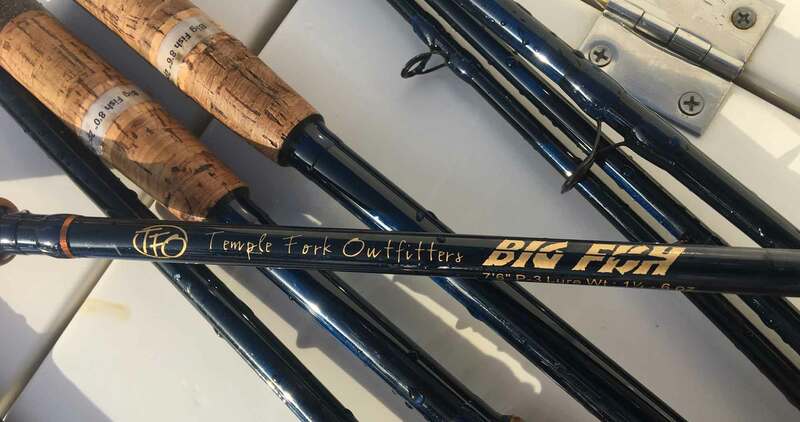 All of my Big Fish conventional casting rods are equipped with an ergonomic ComforTrigger ™, which distributes pressure from a softer surface over several fingers, rather than the single focused point of a traditional hard trigger, which can cause painful bruising and build up on the finger bone where they make contact. Over size guides allow easy passage for all types of knots. With exception of the one-piece 7 footer, the entire series consists of “travel-friendly” two piece designs, with ferrules located in the lower 1/3 of the blank. I feel this configuration provides the best balanced and best performing multi-piece rod. I like them as well or better than any one piecers I’ve fished. Fish one and you’ll understand! This two-piece, travel-friendly series ranges in length from 7’6” to 9’6” and is available for bothspinning and conventional reels. The conventional models feature Larry’s patented, rubberized Comfort TriggerTM handle which improves grip and reduces hand fatigue plus eliminates bruised finger bones from contact with a rock hard trigger. Double-foot Fuji® guides and premium cork split grips adorn the rich, translucent blue blank.. Extra-large tip-top allows for knots and leader connections to slide effortlessly through. Everyone who’s fished them agrees it’s the finest, best-performing series of two-piece rods they’ve ever fished, at ANY price! Additional spinning configurations available mid summer 2017. Sign up for our newsletter to be notified when available.